Belfast Bay Fiddlers is a loosely organized group of amateur musicians devoted to playing and sharing traditional fiddle music in Belfast, Maine. Both lead and rhythm players are welcome – from fiddles, mandolins, recorders and whistles to guitars, banjos, accordion and percussion. The group conducts a regular jam session every Sunday evening from 6:00-8:00 PM at Waterfall Arts, 256 High Street, Belfast, Maine. The session is open to everyone at any playing level Contact us if you have any questions or want to be put on the e-mailing list. 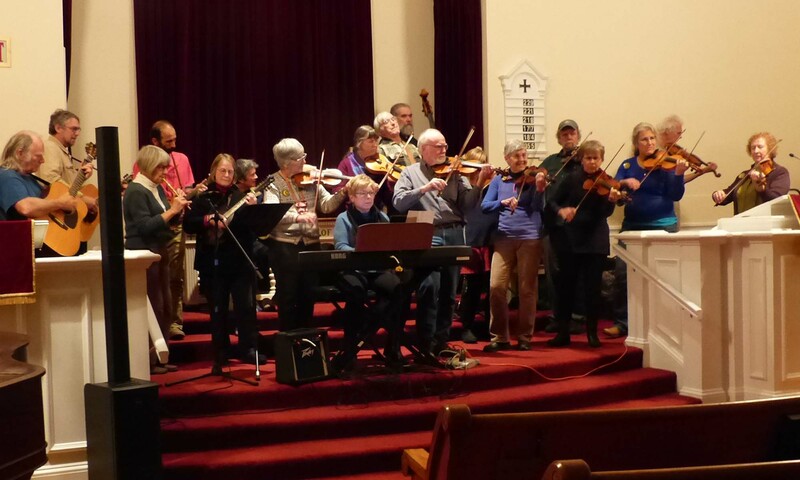 We usually play fiddle tunes from the New England contra dance tradition, the traditional music of French and Atlantic Canada, English country dance, Irish jigs and reels, old-timey music and the occasional song . See the resources page for detailed listings of sources of written and recorded music or check out the weekly jam session page to see what tunes were played at the last session. Here is an archive of tunes played prior to April 2012. In addition to our regular Sunday night jam sessions, we play frequently for educational and non-profit groups as well as a number of local festivals. For more information, please contact Rick (belfastfiddlers@gmail.com). To see more discussion, photos, etc, visit us on Facebook. Traditional music session – focusing on Quebecois and Celtic music – every Wednesday night from 6:30 pm to 9:00 pm at the Harbor House, Southwest Harbor, ME. For more information, contact Ray at either 244-8090 or Quebecabouche@gmail.com. Chord Finder — Need to look up a chord for guitar, mandolin or piano? Try this! 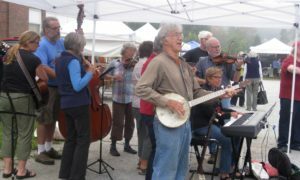 DEFFA (DownEast Friends of the Folk Arts) -Visit this site to find out when and where traditional dance music is being played – and danced to – around the state of Maine. Country Dance and Song Society — “Celebrating a Living Tradition of English and Anglo-American Folk Dance and Music since 1915”. Comprehensive online catalog of books and recordings of and about traditional dance music. Fiddle-licious — A diverse group of fiddlers preserving the tunes and musical heritage of Maine, passed on from their Scottish, Irish, Quebecois, and Acadian ancestors. Sessionite — An Irish session website for session musicians in Southern Michigan. A good source of Irish tunes (usually in ABC format). Concertina.net — A file converter from ABC notation to a Midi sound file or a PDF for music. A great find! The Amazing Slow Downer — A truly great software utility. You can play a CD at whatever speed and not change the pitch. Fiddle World — A social network for fiddlers, fiddle makers and fiddle music lovers world-wide (thanks to NTH). Hope Hoffman — Fiddle teacher and performer. Look for music performance samples. 2010 Maine Master Fiddlers Showcase Videos –Want to see this concert again? Morris Tunes — This is a library of Morris tunes as used by dances in the traditions of a number of different English villages. The Old Time Jam — Lots of old-timey tunes with guitar/banjo accompaniment. No sheet music tunes, just chord charts. The Dance Gypsy — The definitive source for traditional (contra, english) and folk dancing events and musicians. Dance Flurry – A festival of music and dance held yearly in February in beautiful and historic Saratoga Springs, New York. 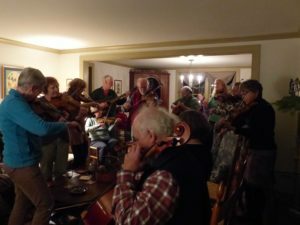 Penobscot Fiddles — Monday night jam sessions in Bangor area. If you would like to see your link here or a link you know about here, please contact me and I’ll put it up on this page. We meet every Sunday with very rare exceptions from 6:00pm to 8:00PM at Waterfall Arts, 259 High Street, Belfast, ME. If you want to be on our email list, send a request to belfastfiddlers@gmail.com. Rick Fitzsimmons 207-338-4245 or email: belfastfiddlers@gmail.com.